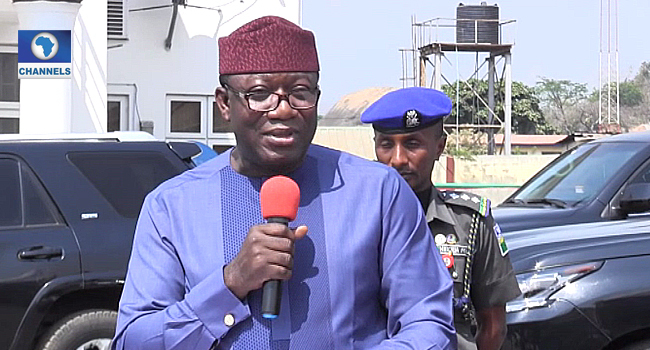 The Ekiti State Governor, Kayode Fayemi, has signed N129.9 billion budget into law. The budget tagged “Budget of Restoration” will be analysed by the Commissioner of Finance on Friday. In the budget, N57.2 billion is earmarked for capital expenditure and N72.7 billion naira for recurrent. Agriculture and rural development gulp N8.4 billion, knowledge economy – N33.3 billion, social investment – N15.7 billion, infrastructure and industrial development – N40.1 billion, and governance – N32.2 billion. The governor said that the budget would help to actualise the cardinal objectives of his administration listed above. The governor put the debt profile of the state as at October 16, 2018, when he resumed office at N155.7 billion naira where he frowned at borrowing to finance white elephant projects.